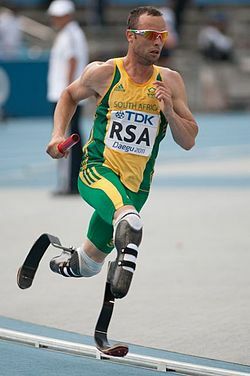 At the 2012 Summer Olympics in London, “bladerunner” Oscar Pistorius became the first double leg amputee to participate in the Olympics when he entered the men’s 400 metres race and was part of South Africa’s 4 × 400 metres relay team. Experts in bionics, robotics and AI work intensively together to find new and better solutions to eliminate most of human disabilities in the coming decades. With the introduction of technical innovations such as bionic legs, bionic eyes and neural prostheses common ideas about disability, identity and human rights are challenged. The European RoboLaw project funded to the tune of €1.9m ($2.3m), of which €1.4m comes from the European Commission, is an effort to anticipate critical social and ethical issues and work out where and how legal frameworks might need to be changed as the technology of bionics and neural interfaces improves. The project consortium brings together experts from engineering, law, regulation, philosophy and human enhancement. The most important outcome of the research will consist of a “White Book on Regulating Robotics“, which will containing regulatory guidelines for the European Commission, in order to establish a solid framework of ‘robolaw’ in Europe.